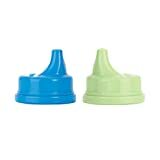 Lifefactory glass baby bottles are made from borosilicate glass, which makes them stronger than the average glass bottle and come with a medical grade silicone sleeve. One of the best features of Lifefactory baby bottles is the ability to pump right into the bottle, freeze the bottle for later use and then thaw the bottle even in boiling water without the bottle breaking (temper resistant glass). 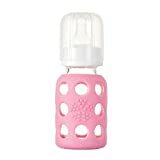 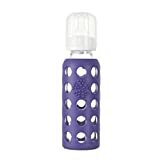 The medical grade silicone bottle sleeve stays right on the bottle it does not need to be washed separately, and it adds an extra layer of protection for the bottle. 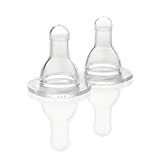 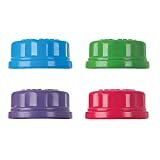 As an added bonus once your baby gets a little older you can continue using the bottles as sippy cups by simply adding the Lifefactory sippy cup adaptor.